Hello friends! 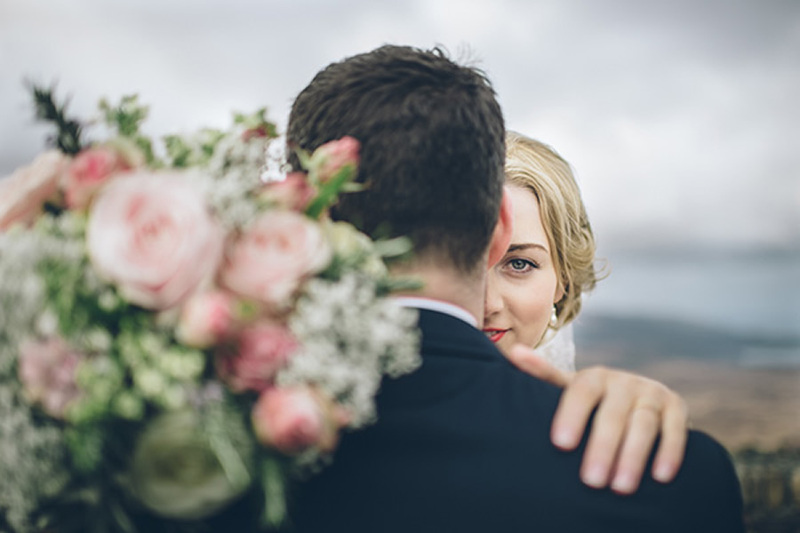 If this is the first time we are meeting, I am Charlotte of design-led wedding planning and design consultancy, Charlotte Nichols Weddings. 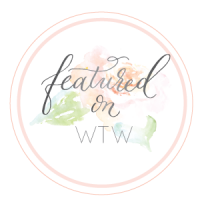 Today I am here to share my take on what decor trends will be ruling the 2018 season. 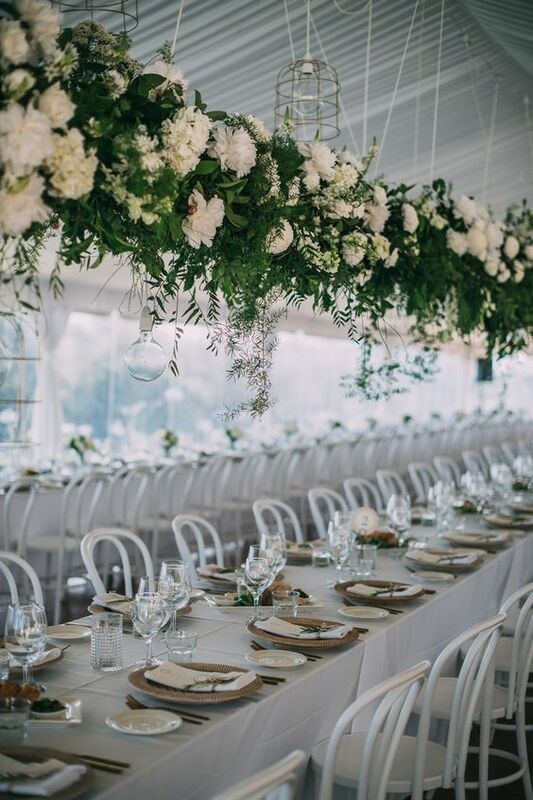 A couple of weeks ago we were talking about tips for Styling A Wedding That is Undeniably You, something that I believe is such an important factor if you are hoping to achieve that really authentic and unique occasion. Having said that, we all can’t help but be influenced by trends. 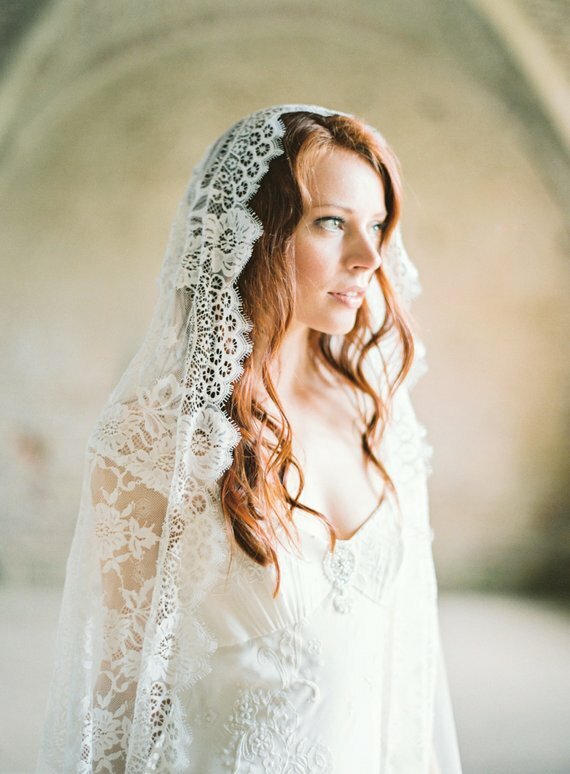 When thinking about how to incorporate them into your big day, the key is to ensure that every choice you make is always an honest reflection of your personality, so that when you come to look back at your wedding in years to come you don’t find yourself saying “what on earth was I thinking!” At the end of the day, trends will come and go, but style is timeless! 2018 is going to be all about going bold and being brave. Specifically, we are going to see a movement away from soft, natural colour palettes, and towards richer, more moody colour tones that create a sense of drama and intrigue. We can’t talk colour without giving a mention to the 2018 Pantone Colour of the Year, Ultra-violet. 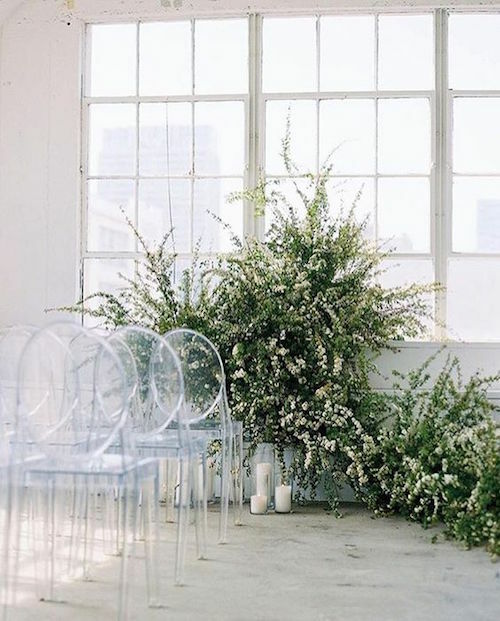 It would be fair to say that this choice has caused a bit of a stir amongst the wedding industry, but needless to say, this love-it-or-hate-it shade is going to have a real presence in this year’s colour palettes. 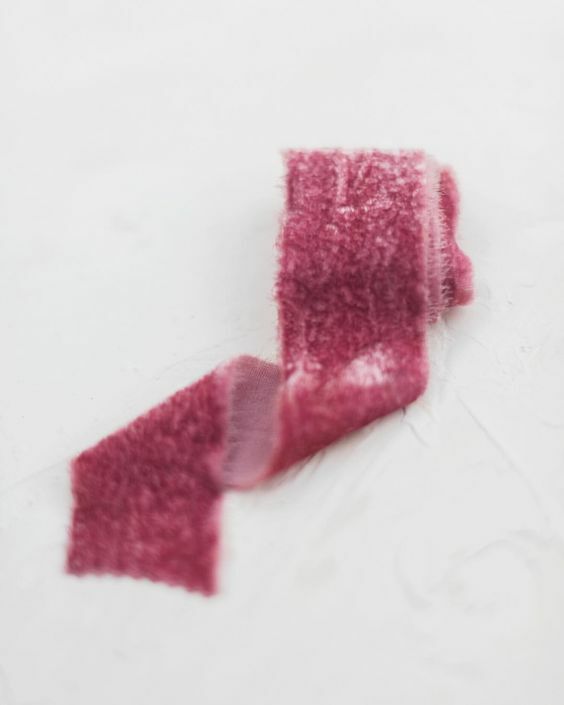 Other popular purple palettes might include shades such as wine, lilac and mauve. These darker palettes will feature interesting and often unexpected colour combinations complemented by intense details and textures. 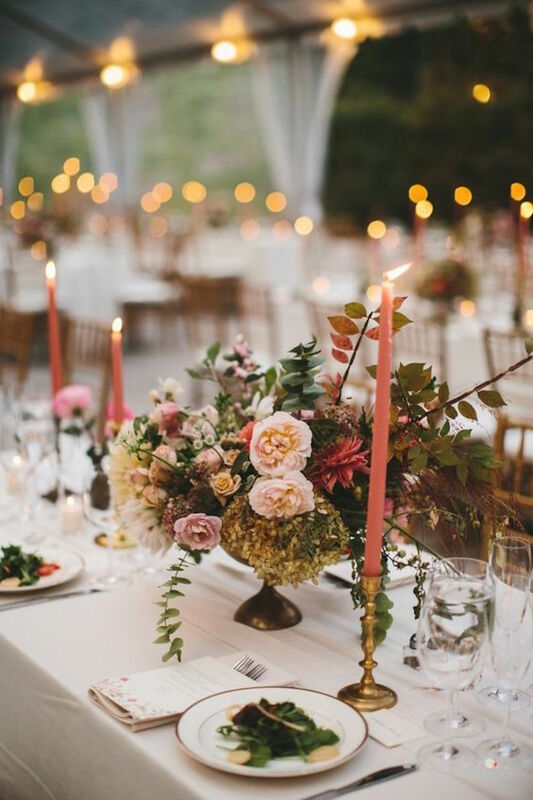 I am looking forward to seeing dark and daring floral arrangements and colourful candles taking centre stage at this year’s weddings. For more on colour, check out my Colour Predictions for 2018’s Hottest Weddings. Unfortunately, in this country, we just can’t rely on warm, dry weather, even in the midst of the summer. As such, couples are deciding to play it safe and opt for indoor venues or those with reliable shelter. 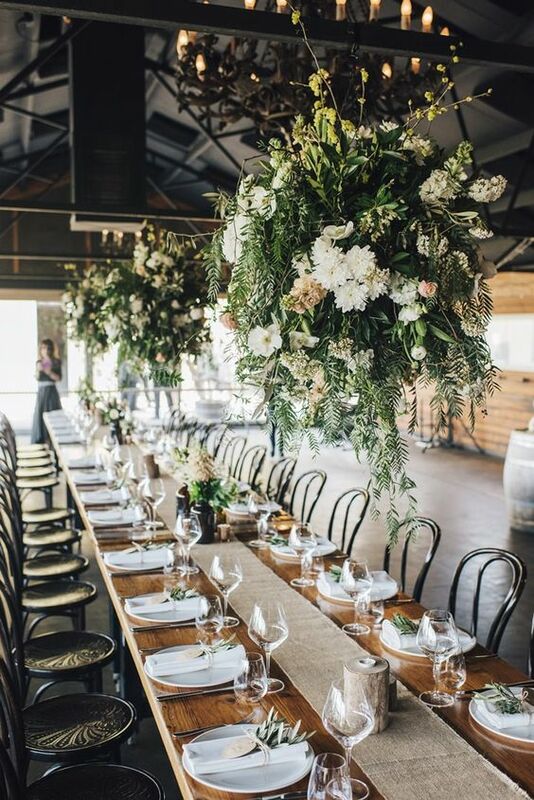 This is also partly due to the fact that there seem to be so many unique and interesting spaces cropping up all over the country, particularly the more raw, blank-canvas venues that really allow a couple to create a distinctively stylish occasion, yet still retaining that understated feel. 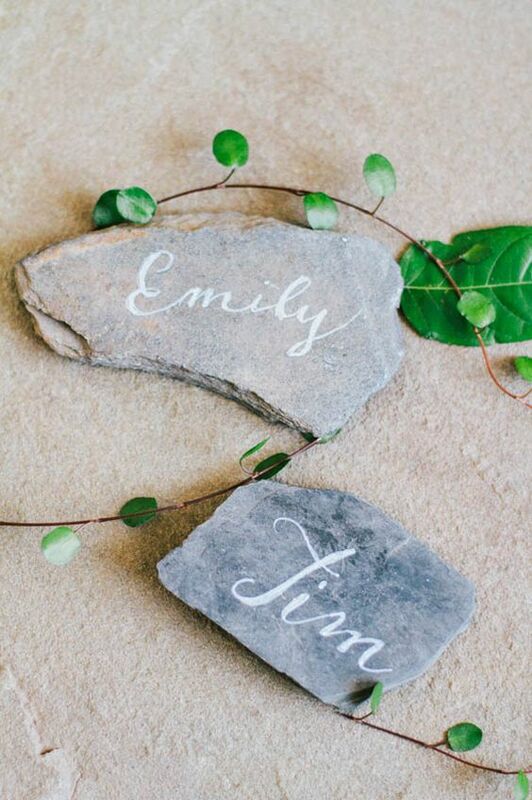 The venue is often the first thing on a couple’s to-do list when it comes to planning the wedding. In the coming months and years, we will see fewer and fewer opting for the traditional banquet hall, hotel ballroom, or back garden marquee. 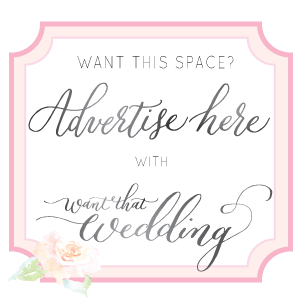 Creative couples want a venue with the ultimate wow factor, that really says something about who they are as a couple. Be it an industrial loft, city rooftop, abandoned castle ruins or historical museum. 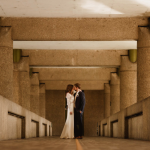 If you plan to hold your ceremony at the venue, there are civil licensing permits to consider. 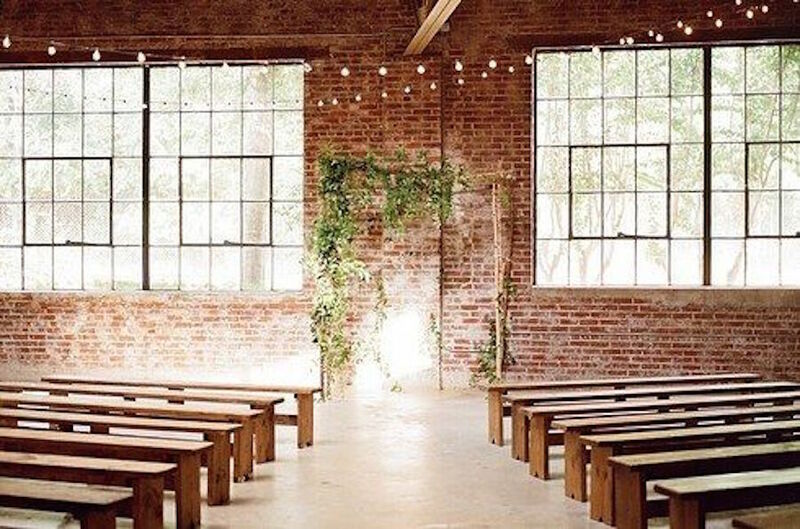 Or if you plan on just using the space for the reception and after-party, always be wary of where you might find the nearest electricity and water supply! 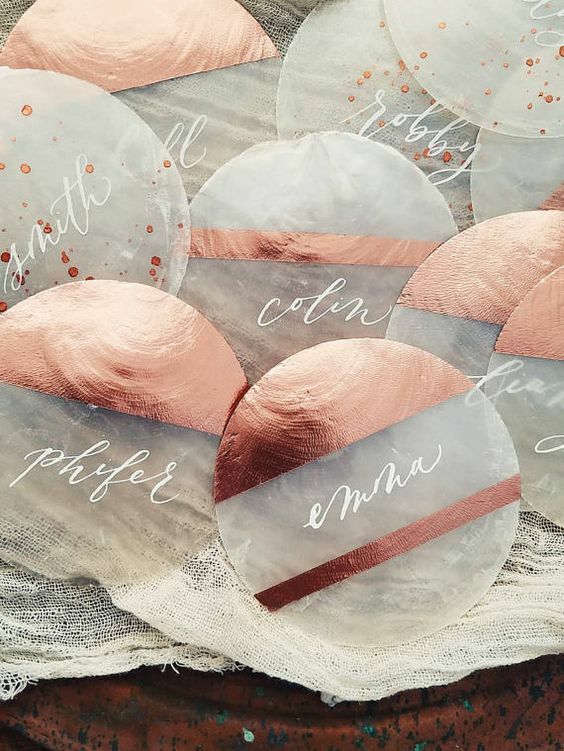 With so many couples now opting for modern, clean design, it is no surprise that it’s the see-through mediums having a major moment in the wedding world. 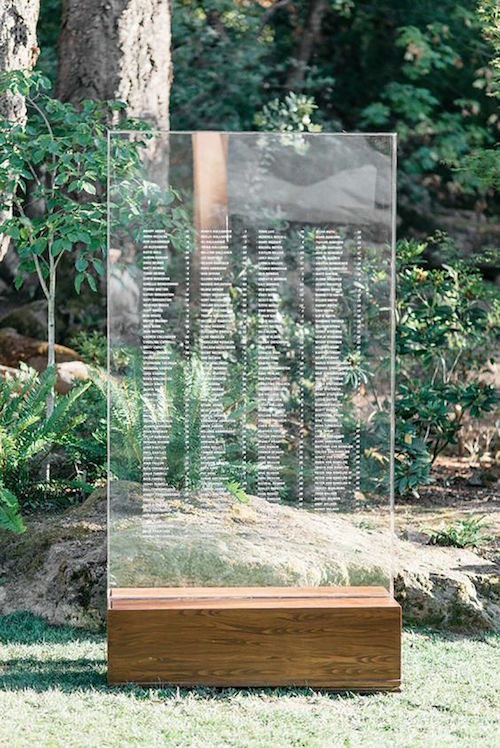 We’re seeing transparency pop up all over the place from acrylic place cards and table plans to glass tables and ghost chairs. 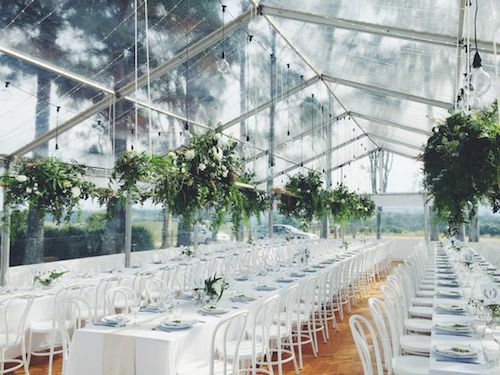 Going clear is also a favourite feature for venues with couples choosing clear tents, even glass marquees, and venues with floor-to-ceiling windows that bring in so much natural light and often utilise extraordinary views. 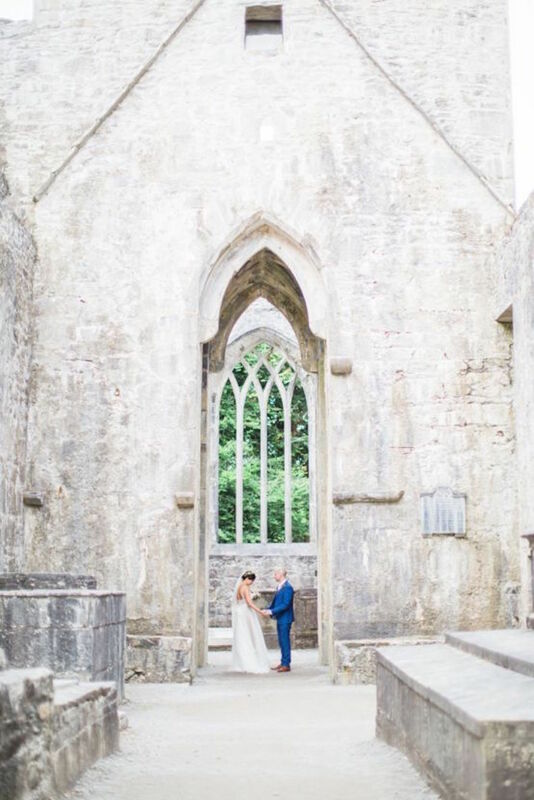 If this sounds right up your street, why not check out this comprehensive list of Orangery and Glass House Wedding Venues on Coco Weddings Venues. Paper is one of my absolute favourite things, particularly if it’s got deckled edging and a delicate deboss. 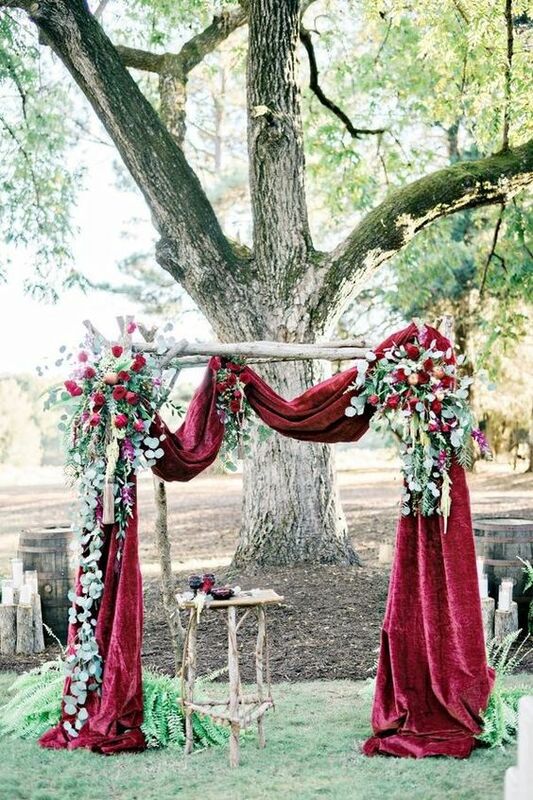 And it will, for sure, always have a special place in the world of weddings. 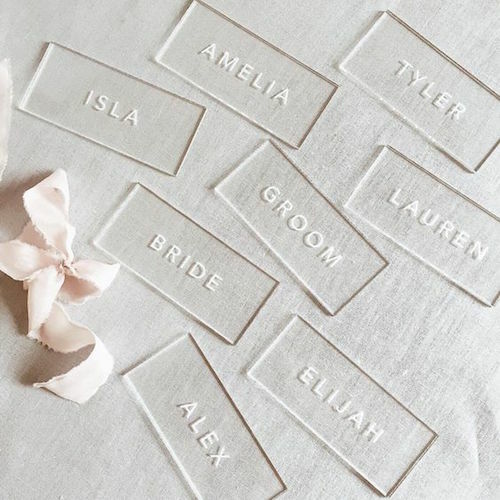 But with this movement for being bold, couples are wanting to think out-of-the-box when it comes to traditional wedding elements, such as table names and invitations, so that their day feels truly personalised. 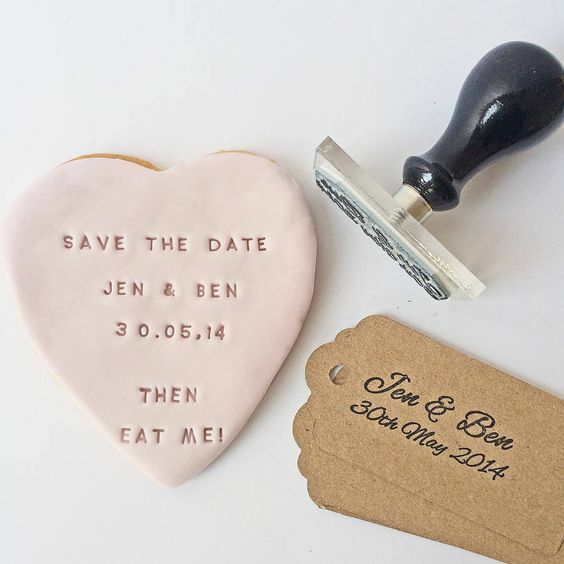 Stationery will now be made with tactile and unexpected materials such as wood, perspex, marble, shells or fabric. It might even be edible (a mini macaroon), or living ( a potted plant). 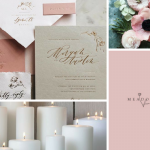 Stationery design is moving away from fussy, overwhelming details and will take a more subtle approach with minimalist designs and simple, yet intricate illustrations. 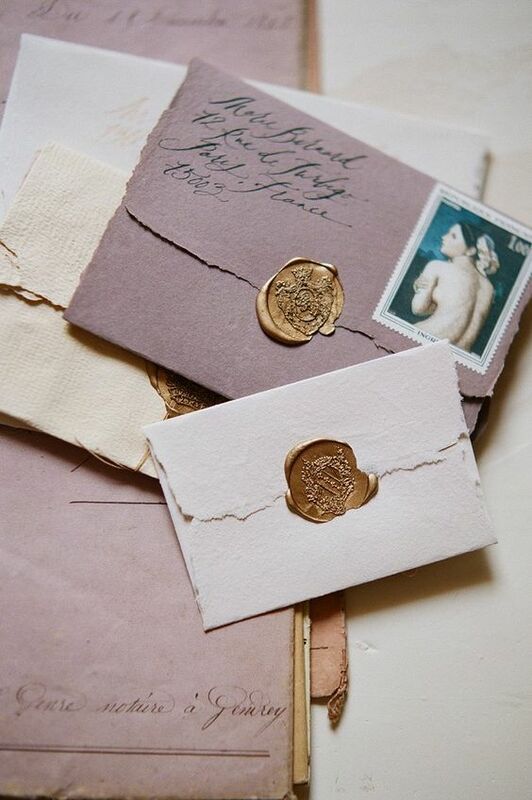 Stationery is also one of the things that is most easily personalised, and we will continue to see a demand for unique, hand-lettered pieces and of course luxury touches like a custom wax seal. 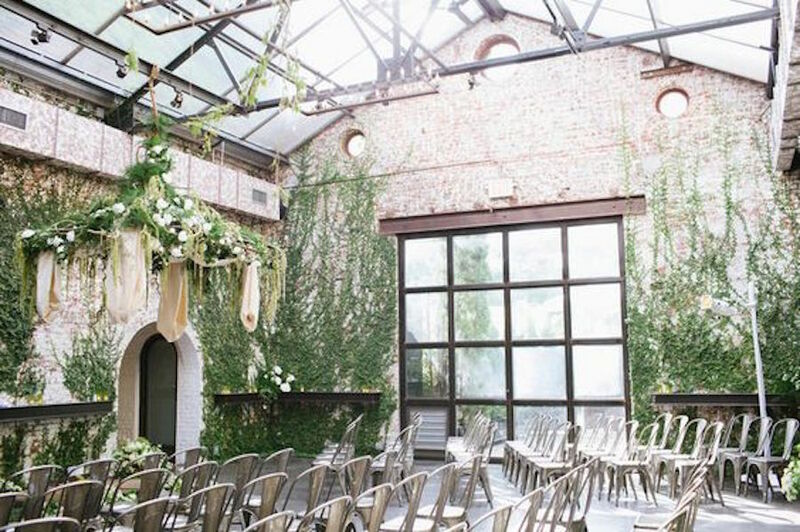 It’s the trend of the moment and has already started to appear in the most stylish weddings of 2017, but hanging floral decor is going nowhere. 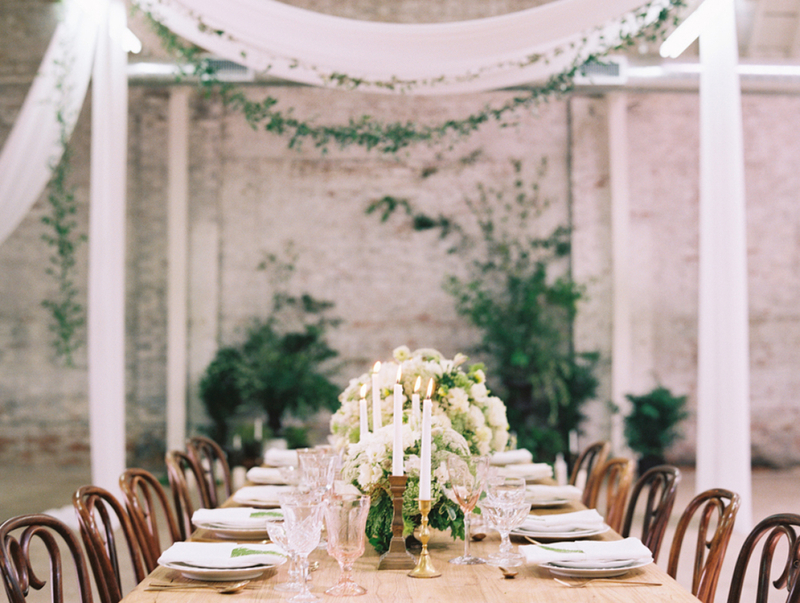 When it comes to wedding design, we are no longer stopping at the tabletop but going right from the floor to the ceiling. Not only can it create a great dynamic to the space, playing with heights, but it is also super practical. 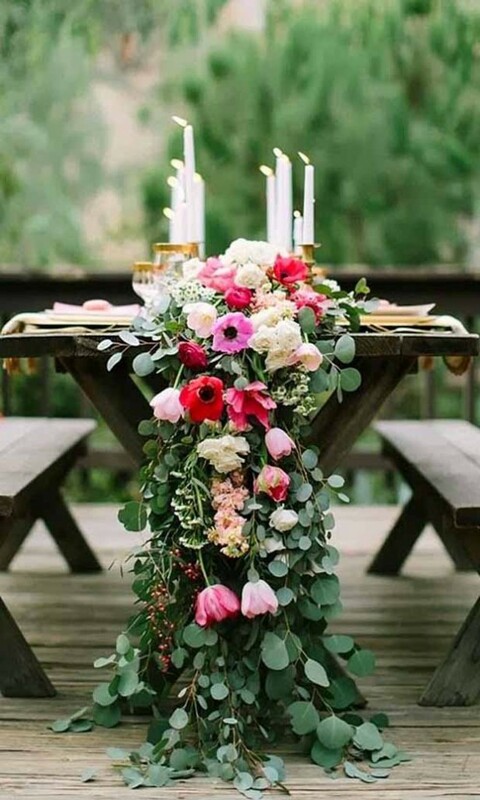 Hanging arrangements mean more space on the tables for candles, sharing platters and obviously, wine bottles. 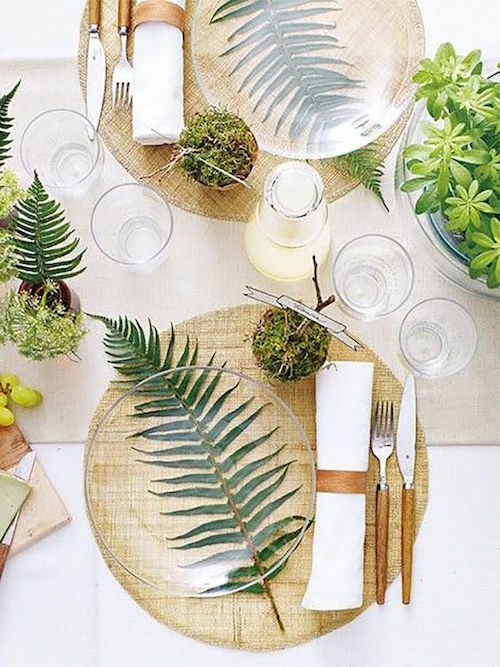 It also complements the trend for uncluttered, simple tablescapes for a sense of understated beauty. But there is no need to stop at suspended florals. 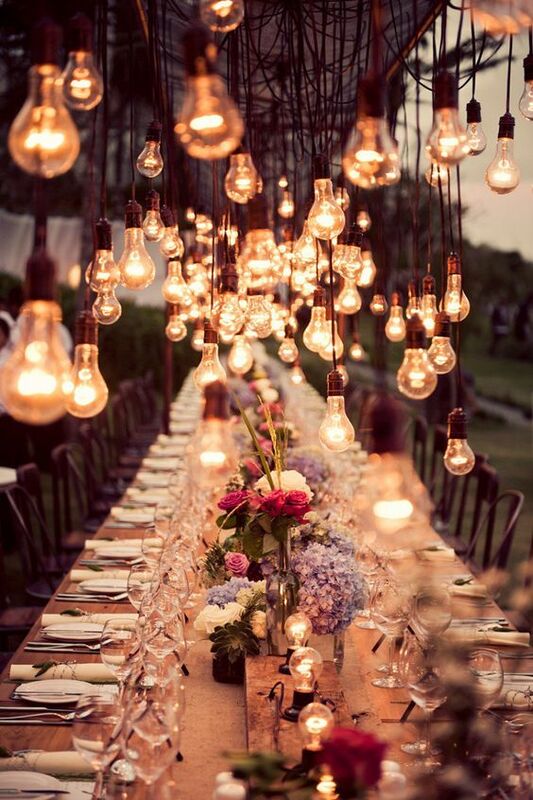 This ‘hang it up’ trend also applies to lighting to create that really intimate and magical ambience. 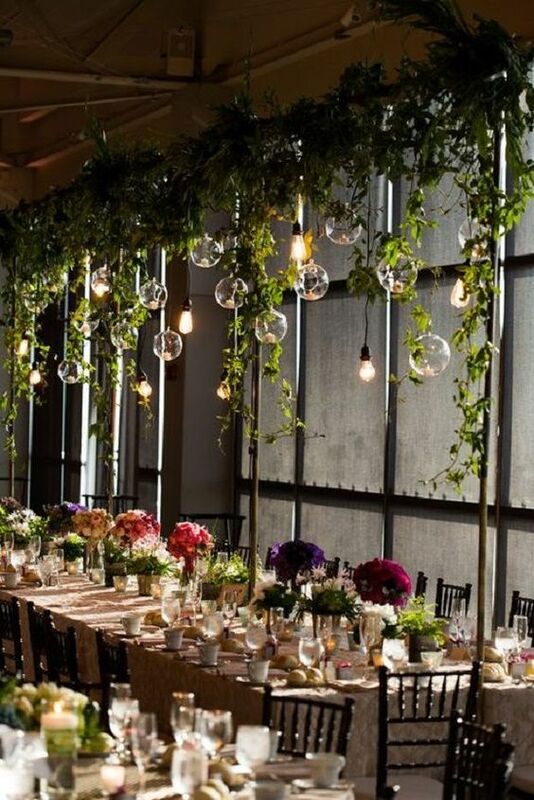 Think Edison bulbs, hanging lanterns and chandeliers for flooding your guests with warmth. People nowadays want experiences, textures to interact with and details to get excited by. 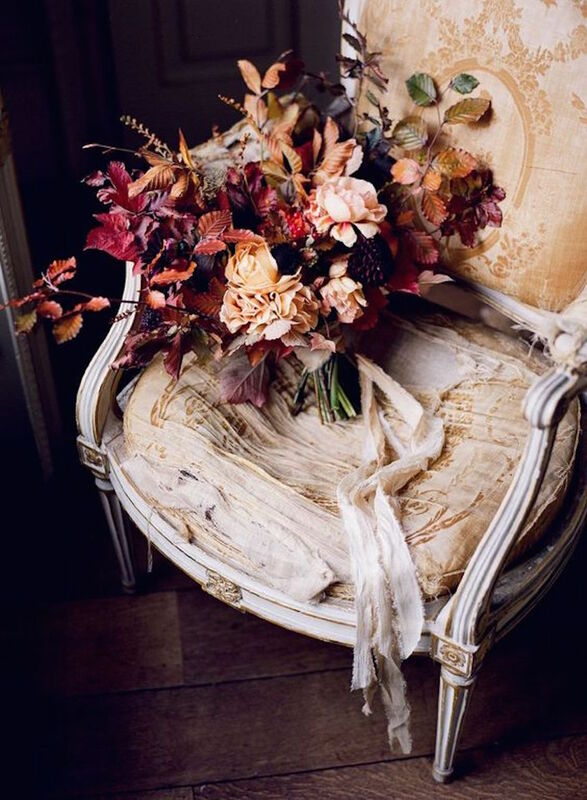 Textures can add a whole new dimension, and not only to the aesthetics of your event. 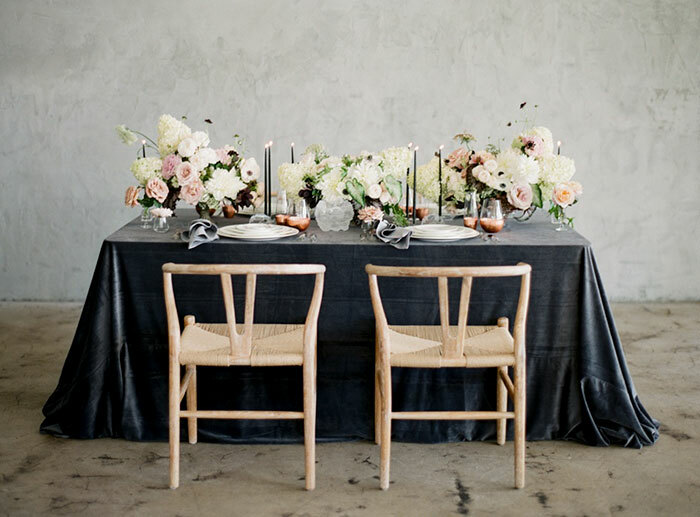 Some examples of these detail-rich textures include delicate placement of a wax seal, an assortment of different linen and fabrics to dress your tables, deckled edges of handmade paper and even crockery with textured detailing. A texture that will be the star of the show for 2018 is velvet. It’s just about all we’re seeing at the moment, from the trendiest interior design projects to your favourite footwear stores. 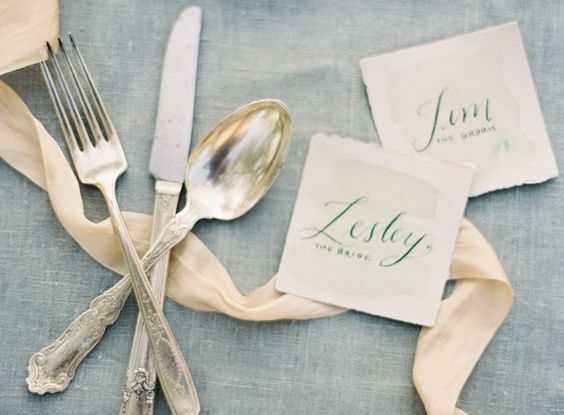 It can make for the perfect finishing touch to any outfit, stationery suite or luxe tablescape. We often associate velvet with winter and dark, rich colour palettes, but that couldn’t be more wrong. Velvet textures just work perfectly in more muted tones, too. 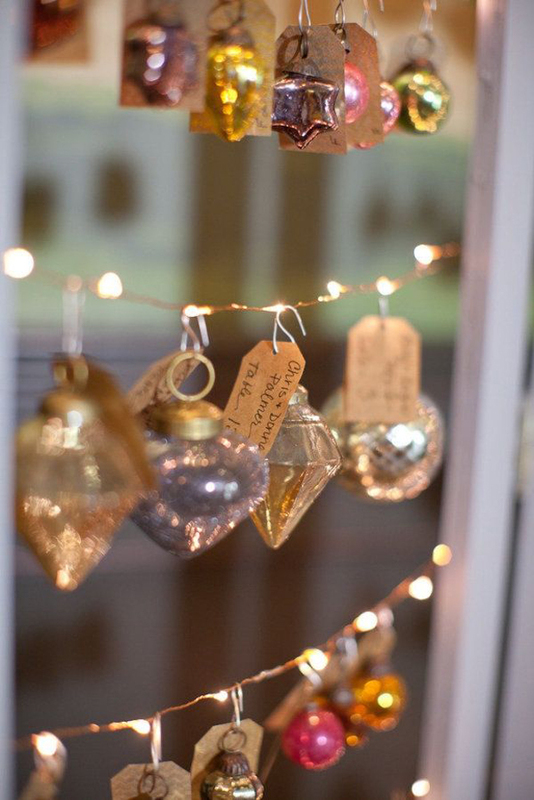 So, lots of lovely decor details to get excited about over the next year. 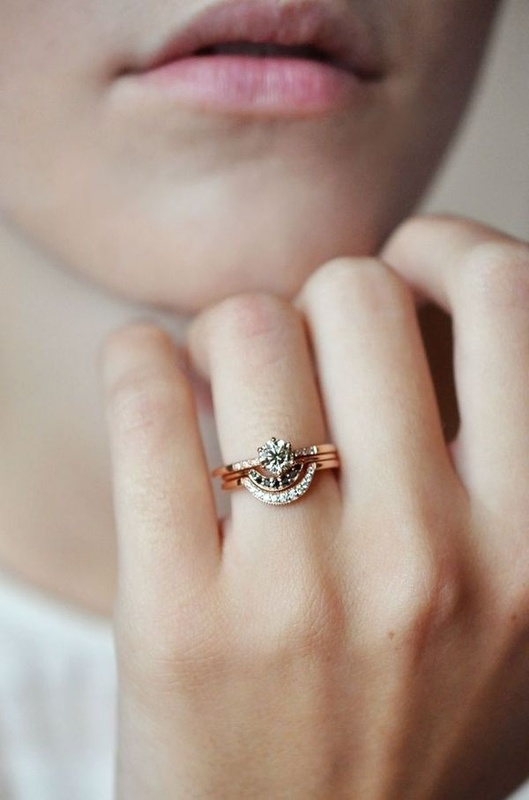 If you are planning your big day, just remember not to go overboard on trends. It’s all about striking the perfect balance between what’s hot and what’s you. With all these trends in mind, we are certainly going to be seeing a return towards understated elegance. 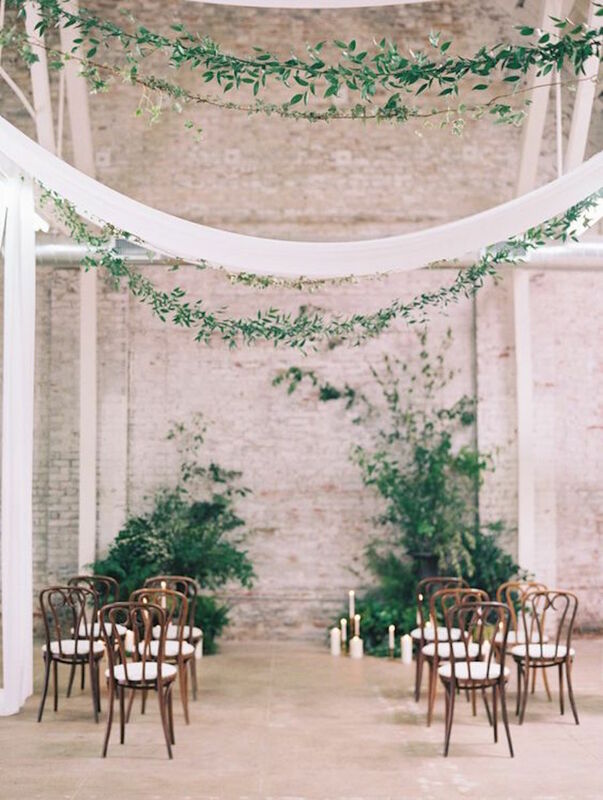 Couples want to create a laid-back vibe and a look that feels effortless and authentic whilst still feeling like a special occasion this is overwhelmingly sophisticated and elegant. 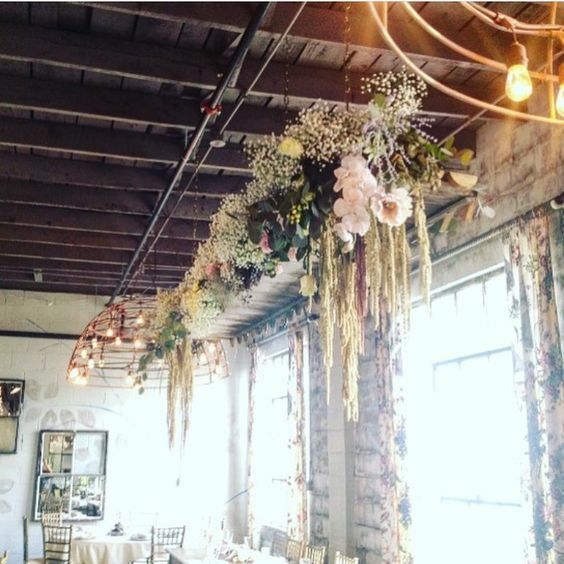 Hanging flowers and suspended decor is so romantic and mood setting. 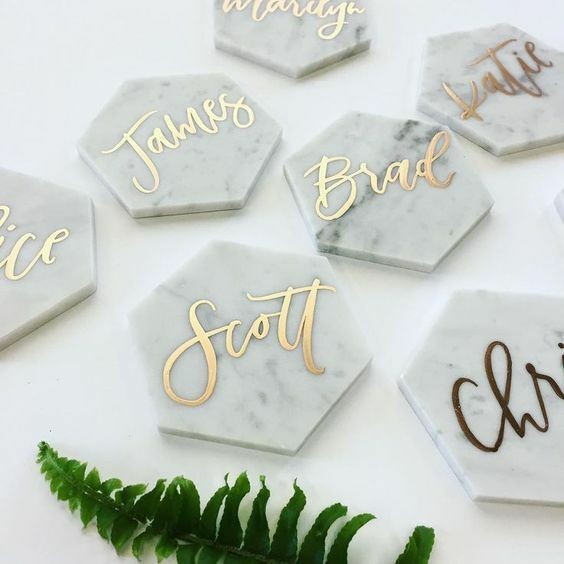 These are awesome decors that are the trendiest not only for 2018 but for the upcoming years also.